I got to thinking about this topic the other day. Really, I have been thinking on it a lot in the past. And it is dinner etiquette. When I invite someone out to dinner, I’m under the assumption that I am the one paying since I did the inviting. That is unless I want company for dinner then I will ask a friend if they are free and would like to go out. But we would have to go dutch treat. All of this is planned out before we go out to dinner. My friend Lisa and I knows how it works. Maybe it is because we are from the Midwest or just raised differently. Not sure though. But we end up switching off and on. If one of us doesn’t have money, the other will offer to pay. It works out. She knows that if I call her to see if she wants to get something to eat, I pay and vice versa. It is the same way with my daughters and my brother in law. It isn’t all put on one person all the time. But what about those people who want to go out to eat and they assume that I should be the one paying, no matter what. I have seen this happen quite often and it isn’t just about one person expecting, but almost seems as if they feel entitled. If I don’t have the money, I simply say I have no money and then comes the I don’t either. Well!!! Now if they had no money, why would they be calling me to go out to dinner? I have come up with the conclusion it is because they are hungry and have no money and don’t want to cook. Or maybe they are just lazy. Who knows? But it isn’t just one person, I think it is a mindset of many people. And it doesn’t happen to just me, but many. I’m blown away by conversations in restaurants and other places when it comes to picking up the tab. Actually, I think it is downright rude on so many levels. I assume that if I am invited out to dinner, the other person is paying, unless they state it will be dutch. As long as I know what is going on and what I need. When inviting someone to go out to dinner and the person has no intention of paying for theirs and assuming the other has unlimited cash is in my opinion selfish and not cool at all. If they are wanting to hang out, then go to the persons house, don’t expect the invitee to foot the bill when they are the ones wanting to go. My suggestion would be that if the person who wants to go to dinner doesn’t have the money to go, then don’t expect others to pay because the person wants to go eat.. If they are looking for company, then ask the person if it is OK to come over and talk. Maybe they need a friend or someone to talk to. I personally don’t have a problem with inviting friends over that needs a listening ear. And I don’t mind cooking either. I would never turn anyone away that is hungry or in need. But at the same time, it is costly to be expected to pay for someones meal when I wasn’t the one wanting to go out to begin with. There are times when Chuck and I go out and we have others with us. We have enough cash for us, but not for everyone. We always tell them in advance that we are going to dinner after the movie, church or whatever. If they want to go with, they are more than welcome, but they would have to pay for themselves. It isn’t rude and they have the option to go or not go. Most people know I’m not made out of money and I never won the lottery. I know there has to be a rule book or etiquette rule for things like this. I did look this up because my brain likes to know if there is a actual rule for this. And there is a whole host of information on this topic. And a lot of rules depending on if it is a business dinner, date night, get together with friends and so on. 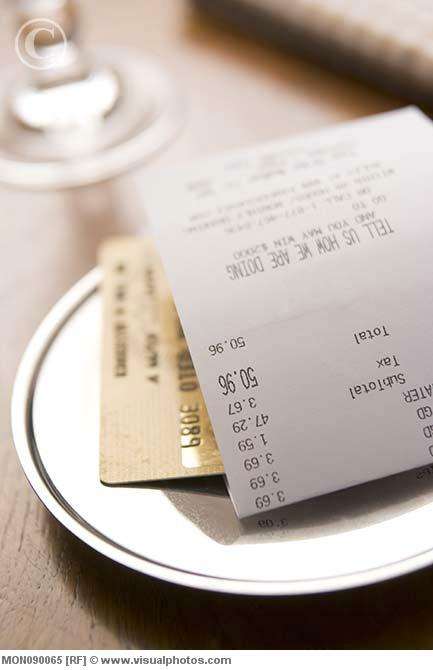 If you are going out to dinner with other friends, it is OK to split the check. But make sure you are clear on how the bill will be handled so it doesn’t become awkward and the elephant in the room. This should be decided prior to ordering. If it is corporate meeting, then it should be the business that picks up the check. They can make arrangements with the restaurant prior to dinner and give the credit card number and information so it doesn’t become an issue. If you are going out with a group of people, separate checks is best and that would be considered dutch treat. Each person is responsible for their own meal and drinks. If you were invited to dinner tradition dictates that the one who did the inviting typically pays for the meal. P.S. I do want to add one thing to going out to dinner etiquette. Please turn off the cell phones while we are eating. If someone wants to talk and text on the phone, they should be doing it somewhere else. Its a pain in the neck when you are out eating and those with you are more interested in texting or talking to others. They might as well have not gone at all if that’s what they want to do. It is extremely rude when you are with friends and family and it is rude to those that are trying to have a nice dinner. They don’t want to hear your conversations and I know I don’t.